A fun get-away to Bintan with friends. We call ourselves the "bisdaks in SG" - simply that. It was Luchee, Ken, France, John, Chester, Bryan, An2x, James and me. Going to Bintan to the weekend was our sort of send-off to An2x, who'd be leaving SG to start a new chapter of her life in Aussie. She had specifically requested we got together for her despedida, and after a few suggestions, we decided it was off to Bintan, we go! That, after a few sessions of girl bonding (read: shopping), and foodtrips. 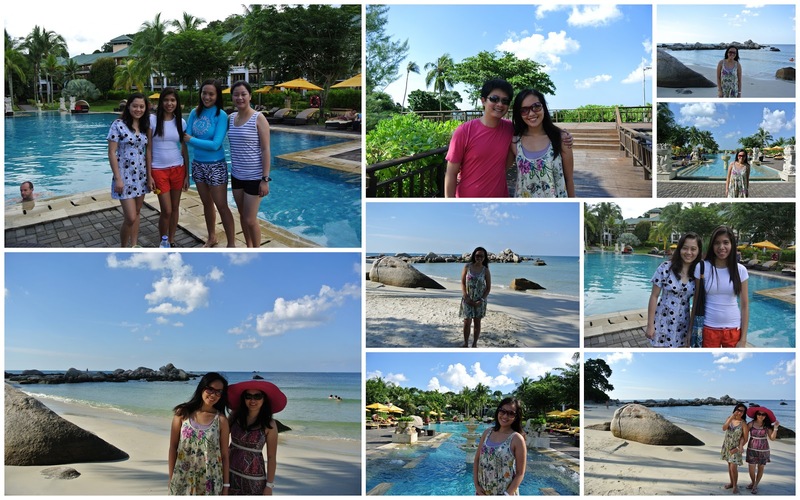 We stayed at Angsana Resort & Spa for the weekend. The place was more than nice and impressive, which is expected as it was one of the recommended and pricey resorts in the Bintan area. It didn't disappoint for sure. One more thing too - we enjoyed the food so much that we had buffet for lunch, then dinner, then breakfast. haha. and just like that, goodbye supposed-to-be-diet. 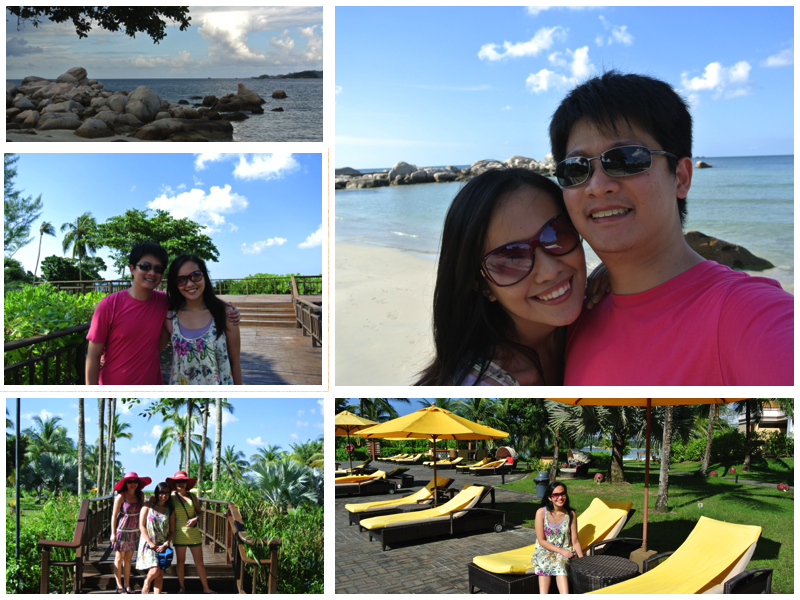 upon arrival at bintan. excited to arrive at the resort already. taken at the shuttle from the ferry terminal. It's been soooo loooong since my last visit to the beach. True, we went to Panglao during my June visit home, but the resort we stayed didn't have a shoreline - and for me, that doesn't qualify as a beach! Don't get me wrong, it was nice and ambient though. This time around, though, we just chilled by the pool, and we even joined the free aerobics session just for the fun of it. But between you and me, I just stayed at the back so I had the option to participate or not when I don't feel like it and i can stop whenever I wish. haha. And I sure used that to my advantage! Also, we spent most of the time enjoying our rooms.. we (the ladies) had so much fun staying in and sleeping (catching up on our sleep as we left SG very early in the morning) and being wakened by the guys play poker. I loved going around the shore and sea, taking pictures at the beautiful scenery. I especially loved the rock formations by the shore. It gave Bintan a unique backdrop, which was definitely something not all other beaches have. I just didn't get to swim by the beach because we ran out of time, I was avoiding getting tanned for the wedding (notice the rashguard!it didn't help much, by the way. hehe), and because there were some warnings of possible tar on the sand. 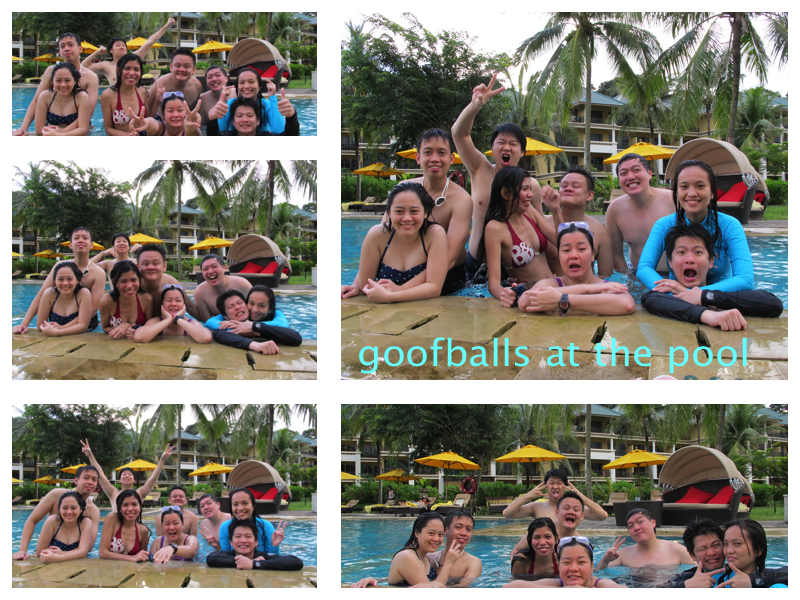 It was definitely a good bonding moment with friends and a relaxing time to unwind. It was a quick "refresher" and vacay which only lasted for a weekend. 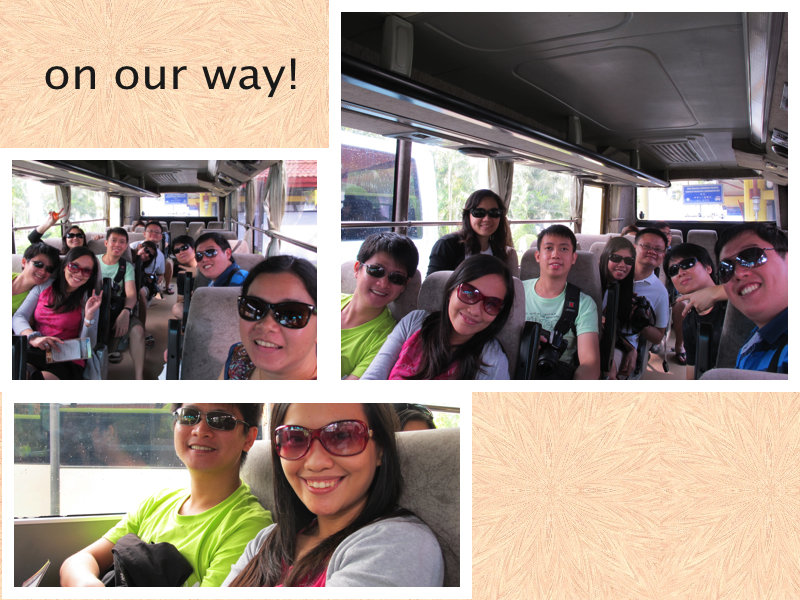 Ooh, if only money grew on trees, there'd be a whole lot of weekend get-aways and staycations! :D One regret from the trip? Not getting a massage. That would've made the chill weekend vacation at the beach perfect. Bintan, Indonesia is just an hour away by ferry from the Tanah Merah Ferry Terminal in Singapore.